Do you know which diagnoses are a complication or comorbid condition (CC) versus a major complication or comorbid condition (MCC)? Even seasoned CDI professionals need to take an annual look at the CC/MCC lists released as part of the inpatient prospective payment system in order to stay abreast of current coding conventions and CDI opportunities. Join founding ACDIS Advisory Board member William E. Haik, MD, FCCP, CDIP, of DRG Review, Inc., for an in-depth look at the 2019 CC/MCC list and get a seasoned physician’s perspective on how to query for some of the most commonly missed diagnoses. 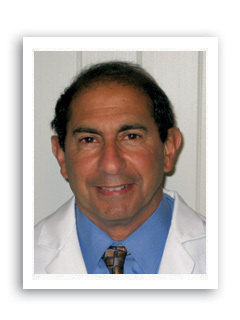 William E. Haik, MD, FCCP, CDIP, of DRG Review, Inc., has practiced medicine in Fort Walton Beach, Florida, since 1980. He is board-certified in internal, pulmonary, and critical care medicine. He served on the American Hospital Association’s Editorial Advisory Board and on the Expert Advisory Panel of Coding Clinic for ICD-9-CM, and helped prepare the original CCS examinations. He served on multidisciplinary committees that developed the 2010 and 2013 physician query guidelines, and worked with ACDIS on the original Certified Clinical Documentation Specialist (CCDS) credentialing exam. Dr. Haik is a founding member of the ACDIS Advisory Board. (Live + On-Demand) This program has been approved for 1.5 continuing education units for use in fulfilling the continuing education requirements of the American Health Information Management Association (AHIMA).